$15 by signing up online. Prices increase to $20 on 8/30. $30 day of the event. 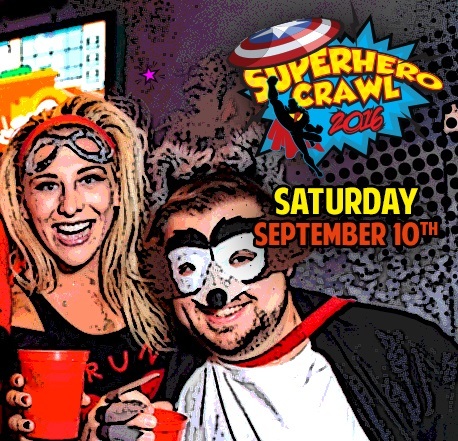 Show off your superpowers in your favorite superhero or villain costume and drink your way through Dupont’s best bars at the first ever Superhero Crawl on Saturday, September 10th! What You Get: A souvenir event mug, access to Dupont’s best bars, exclusive drink & food specials, free pictures of the event and a raffle entry to win great prizes.